Julia Vargas is a cop with a mission. When she’s not chasing down bad guys, Julia dedicates her time to investigating the Hangman serial killer . . . the same unsolved case that her father, Jim Vargas, was working on when he supposedly shot and killed himself three decades before. While rumors continue to swirl around her father’s death, Julia attempts to hunt down the truth. The case once again hits dangerously close, however, when a woman’s bones are discovered in a historic downtown home, together with a photograph of Jim and Julia as a young girl. As horrifying as this discovery is, it may just be the break Julia has waited for. 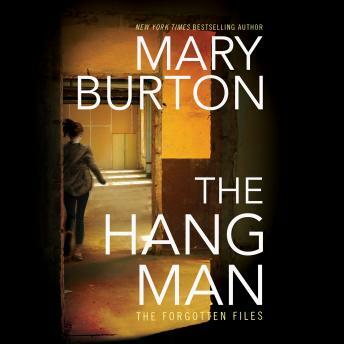 Working alongside Tobias Novak, a homicide detective with whom she shares a complicated—and steamy— history, she’s forced to confront her own past even as the Hangman looms in the shadows. But as the mysterious killer circles closer, Julia can feel her own noose begin to tighten . . .